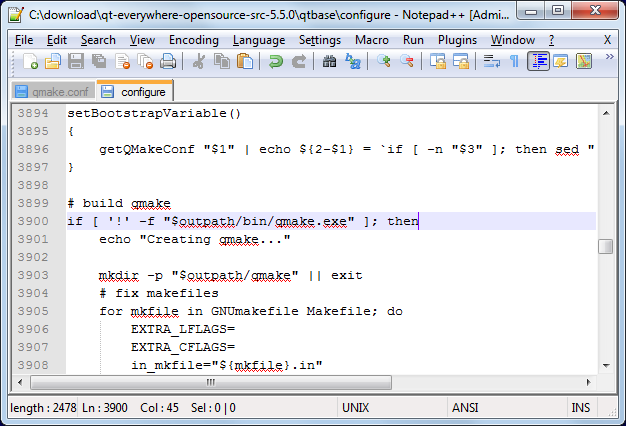 This tutorial shows how to cross-compile the Qt 5.5 framework for Beaglebone-Debian. 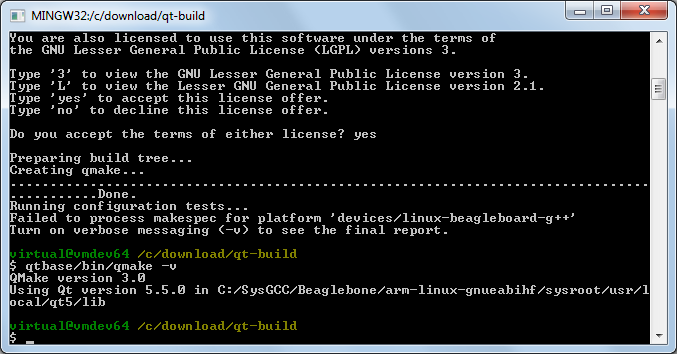 We will build the X11-based version of Qt for the Beaglebone Black board. 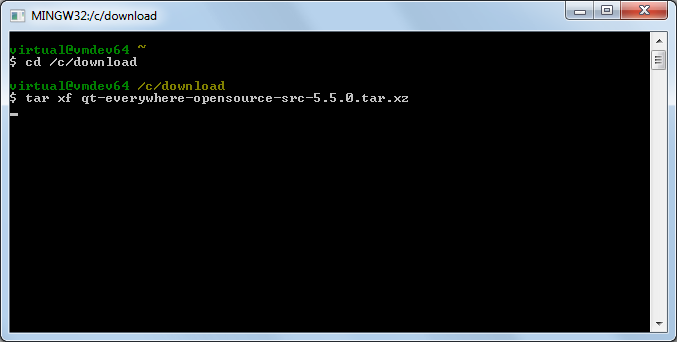 Download and install Python 2.7 for Windows and ensure that its directory is added to PATH. 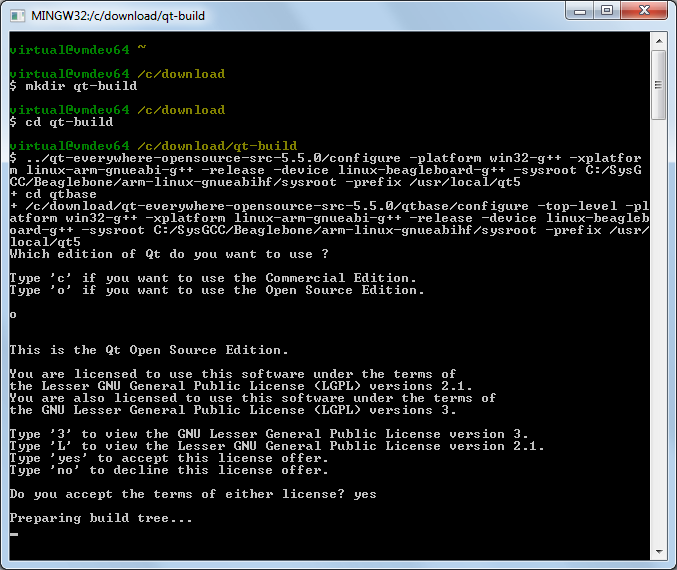 Download the Qt source package (e.g. 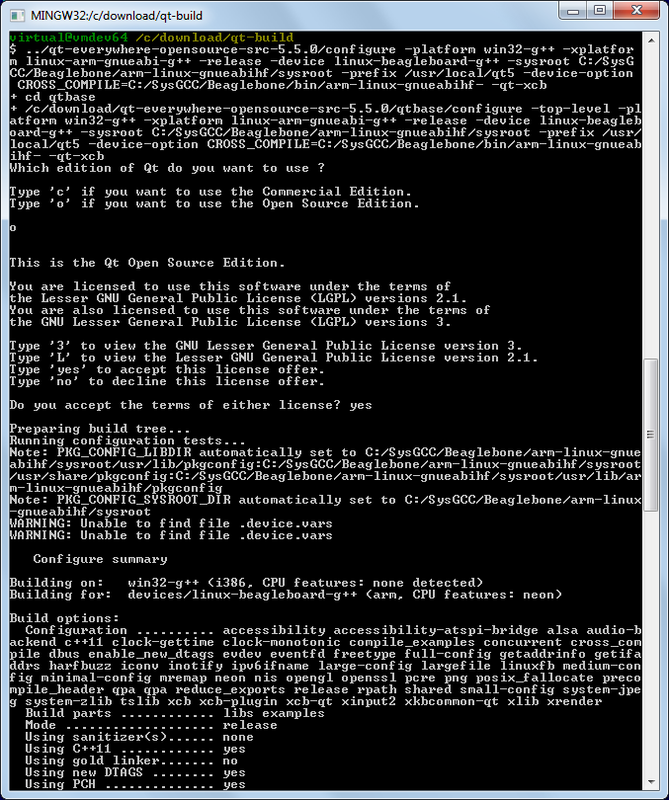 qt-everywhere-opensource-src-5.5.0.tar.xz) from the Qt Archive. 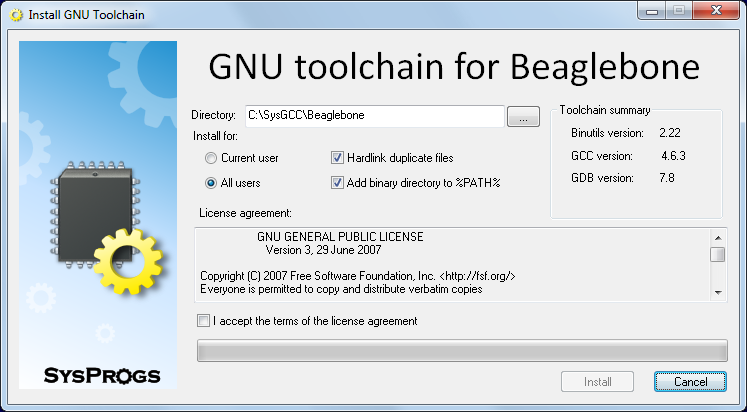 If you installed additional packages to your Beaglebone, you will need to resynchronize the sysroot with the toolchain to ensure that the toolchain has all the headers and libraries from your Beaglebone. 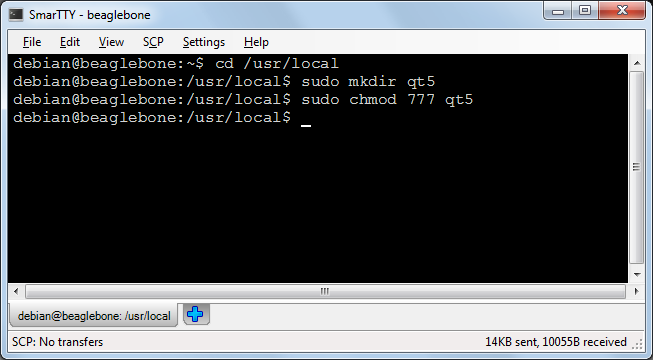 Start the UpdateSysroot.bat file from the <sysgcc>\Beaglebone\TOOLS folder and synchronize the suggested directories. 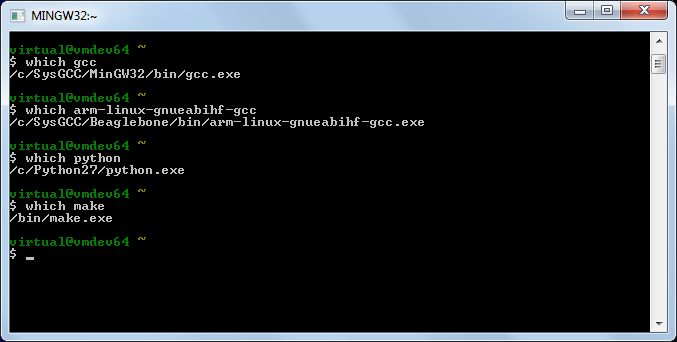 Ensure that the directories containing the MinGW gcc compiler and the Beaglebone cross-compiler are added to PATH. 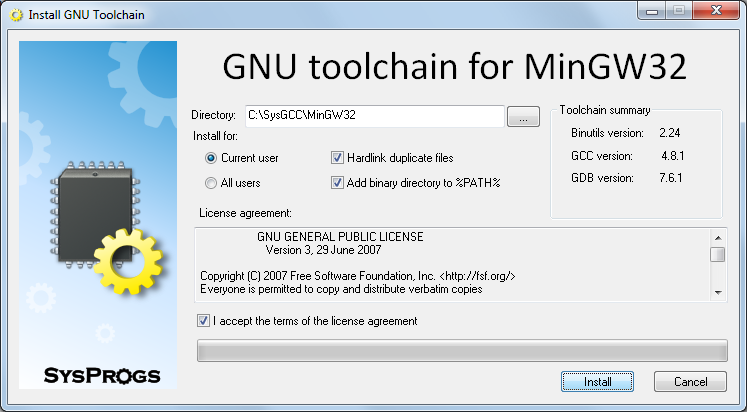 If not, add them manually: Ensure the the default ‘make’ executable is the one from the MinGW build folder. 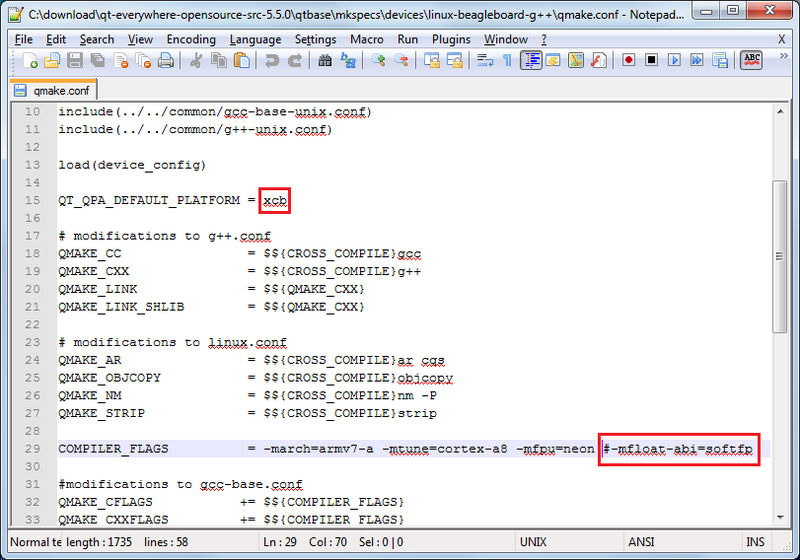 If not, add the /bin folder to the beginning of PATH. 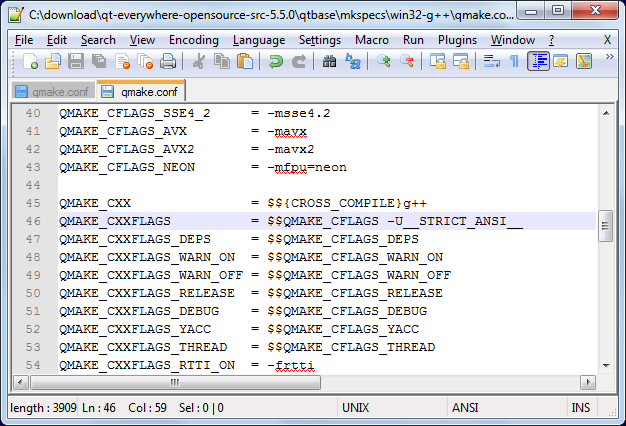 The -device-option is required when using the device specification, however if you specify it while building Qmake, the Qt build system will try to use the cross-compiler to build the Windows Qmake executable that will obviously fail. 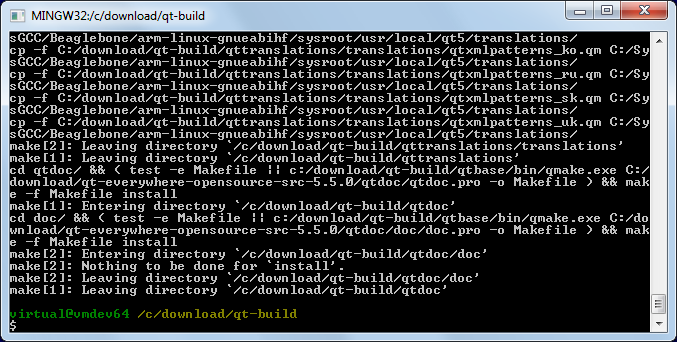 Once the configure script reports that the configuration is complete, run the “make && make install” command to build the entire Qt framework and install it into the cross-compiler directory. The framework is huge, so the build process might take several hours to complete, even on a fast machine. Warning: do not run “make install” before “make” succeeds as it would fail leaving the build directory in a partially built state failing further builds until the entire directory is deleted and re-created. 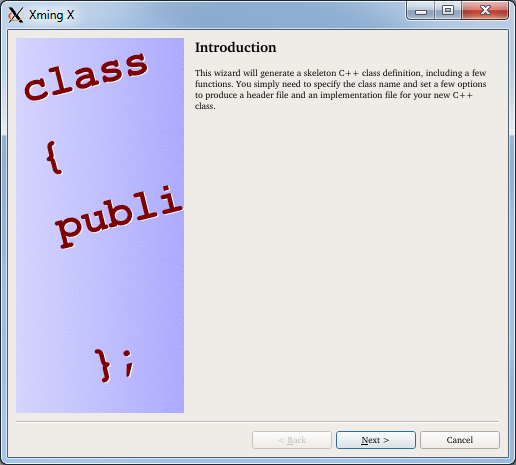 You will see the Qt class wizard window forwarded from the remote machine: Follow this tutorial to learn how to create Qt projects for Beaglebone-Debian with Visual Studio.